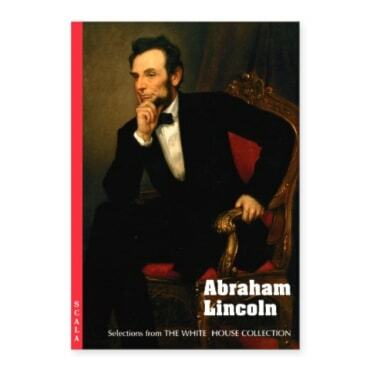 Abraham Lincoln: Selections from the White House Collection. This fold-out book illustrates fine and decorative art objects in the White House collection related to the life and presidency of Abraham Lincoln. Featured are images of paintings, sculpture, commemorative objects, documents, and ephemera, many of which are published here for the first time. The Gettysburg Address, the president’s desk, a campaign button from the 1860 election, an 1861 inaugural ball program, newspaper engravings of White House soirees and Lincoln’s funeral, and the furnishings selected by Mary Todd Lincoln are just a few examples of the treasures which illustrate this volume.